Cross and Cutlass: Book News and Multiple paths to God? Book News and Multiple paths to God? Find a comfy couch because once you crack open this book, you won't be moving for a very long time. 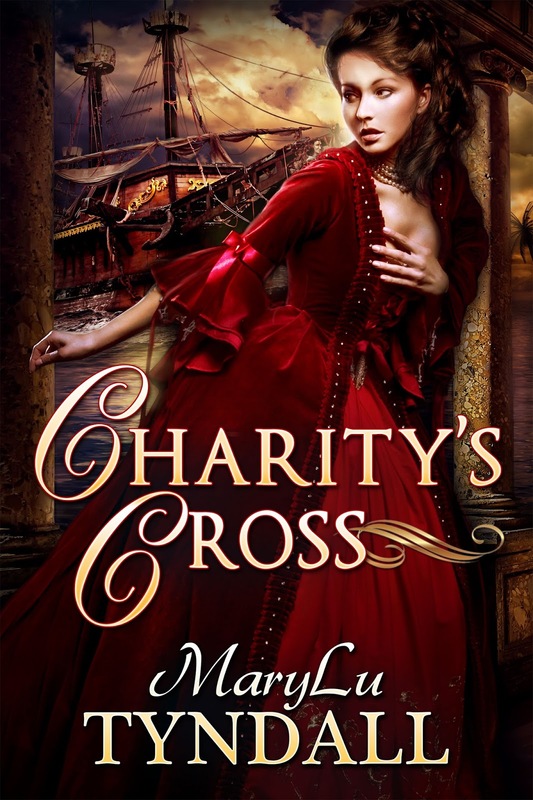 Charity's Cross is one swashbuckling adventure after another. You'll weep, you'll laugh, but mostly you'll be holding your breath to find out what happens next. This, friends, is MaryLu Tyndall at her finest! PreOrder Now at the reduced price of $2.99! It will go up to $4.99 on February 1st. Mark your Calendars! Debbie Lynne Costello, Julie Lessman, and I are having a Release Party starting here on February 12th and going through the 26th. 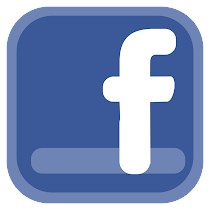 We will be talking about our books and giving away prizes on both our blogs. It will be fun! I recently came across an article about the Pope in which he was essentially saying that no matter what religion you are, you are all part of God's family. Yes, we are all God's children, but we are all not saved. The article and the video I'm posting below disturbed me greatly I understand that perhaps his intentions are good in that he hopes to unite people in love and cooperation, but I fear the message that is taken away is that it doesn't matter what you believe... that all paths lead to God. Sounds so good and comforting and nice, but it's a lie that will lead people straight into hell. It's only a minute long. This reminds me of the One-World-Religion the false prophet will be espousing during the end of this age. Thoughts? My thoughts? He is a false prophet. Only time will tell if he is THE false prophet. The end is near. Need I say more? Have a blessed weekend. My interpretation of the video is so different than your interpretation. I interpret it as an invitation to talk with others of different faiths so we can try to understand one another's beliefs. There is so much fighting happening in the world and a great deal is religious fighting. It's happening in our own churches. I think the pope is reaching out and encouraging us to stop and talk to our neighbor of another faith. We should also be listening, not hearing, but really listening to what our neighbor of another faith is sharing. I know that I have been surprised by my assumptions. For me, I let fear rule my life and the decisions not to take time to listen to people of other faiths. I need to remember that perfect love casts out all fear. Have finished Charity's Cross and have written my review. I will be ready to post it. I loved Charity and her story and I love the message you have intertwined in the chapters. I am not going to say anything here to be a spoiler alert only that I hated it to end. 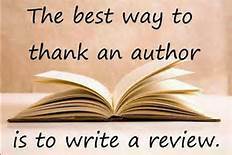 I will be reading it again as I do with all your great books. I agree with Mary. He is inviting people of all faiths to talk about what they believe and why. I think it is important to know why you feel the way you do. I questioned my faith for many years until I found an inescapably logical conclusion for my belief. (http://www.reasons.org/) The truth should not be feared, and sometimes it is only through investigation that you find it. I think we need to make a clear distinction between what it means to have an open dialogue with people of other faiths and being politically correct in a postmodern society that hails the values of relativism, tolerance and multiculturalism. Jesus Christ is our chief example of how we should relate to people. He was the greatest bridge-builder in the world, He reached out to people from all sorts of social backgrounds, but He never compromised the truth for the sake of popularity. He never said „Hey, you’re all believers in your own way, no matter if you’re a prostitute, a tax collector or a Roman soldier, you’re all children of God”. No! He told them” I am the way, the Truth and the Life. No one comes to the Father but through Me”. ( John 14:6). Does that come across as intolerant and narrow-minded? Yes, to most people. But this is the Gospel. And if we truly want to convey its message to people, if we truly love them, we must put Jesus at the center.The Pope basically says that no matter what you believe in, you’re God’s child. Is that scriptural? No. „Yet to all who did receive Him[Christ], to those who believed in his name, he gave the right to become children of God— 13 children born not of natural descent, nor of human decision or a husband’s will, but born of God.” (John 1:12-13). Is the pope really trying to promote dialogue or does he have a darker agenda in mind? Remember the serpent’s lie in the Garden was just as subtle „Did God really say..?” His statements make you lend your ear to „popular gospels” rather than the real message of salvation. Proposing a lie as the foundation for so-called dialogue leads to nothing good. The Scripture says that there is going to be a huge fall from faith just before Christ’s second coming. That many are going to turn to the doctrines of demons, despising sound teaching. ( 1 Timothy 4). I think we need spiritual discernment now more than ever. Let the Bible be our guide, not what other religious leaders say. Truth is never going to be popular, because darkness hates the light. One thing is to be considerate towards those who don’t know Christ and quite another to imply that their god is just as good as the living God of the Scripture. Look at the apostle Paul. He wrote half of the New Testament and preached the Gospel to the Gentiles. Talk about interacting with people from different cultures. But he never said that „We all believe differently”. He preached the resurrected Christ, not man-made doctrines. He didn’t tell people what they wanted to hear, what it made them feel good, he told them what they desperately needed to hear. I’ve encountered people who distort the Bible so subtly that it scares you. Even satan can masquerade himself as an angel of light in order to lead many astray. I highly recommend two great testimonies of people coming from pagan cultures who encountered Christ in a marvelous way. One is a former Muslim, Nabeel Qureshi’s „Seeking Allah, finding Jesus”, the other one comes from a highly-respected Hindu family, Rabi Maharaj. He wrote „The death of a guru”. Read these and find out how these individuals who were immersed in such idolatry found Jesus.